Beginning at Snook Bight Marina (4765 Estero Blvd behind the Publix, free parking by Bayfront Bistro) on Fort Myers Beach, Florida in the calm waters of the Estero Bay, we cover territory traveling NW through Matanzas Pass and looping the entire Estero Island. Our extensive knowledge and background in sea excursion makes us steadfast candidates in leading and ensuring the fun and safety of all guests traveling with Paradise Charters. We are informative, attentive, and welcome any questions you may have. USCG certified and insured. 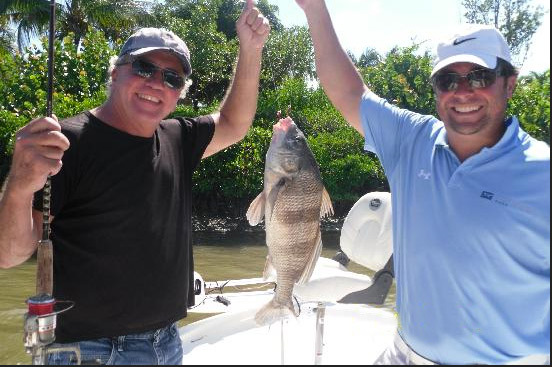 Florida natives, experienced in fishing and exploring the major bodies and backwaters of the Gulf of Mexico. 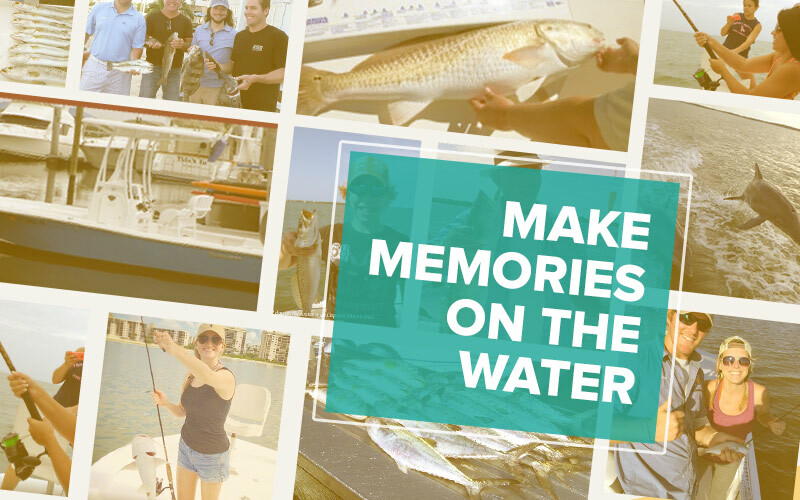 Whether it be one of our unforgettable special occasion cruises, fishing, or enjoying a glass of your favorite wine while watching the day settle, you are sure to walk away from Paradise Charters with a story to tell and an experience to remember…and, oh by the way, we’ll back any fishin’ story you have to tell! 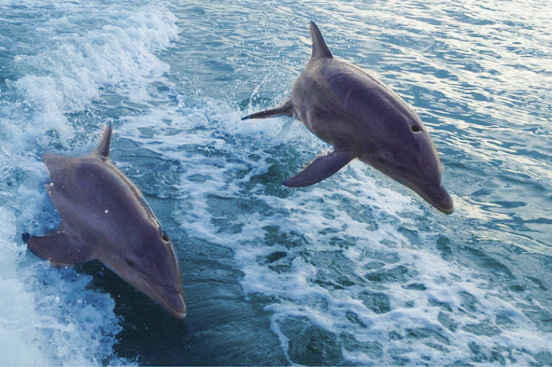 Whether you want to reel in some fish, or just cruise over to Captiva, we’re ready to make it happen! Cristina is probably who you will talk to if you call to book your charter or ask general questions. Cristina is a native Floridian, a biologist by trade and has a passion for the environment and getting others out on the water. 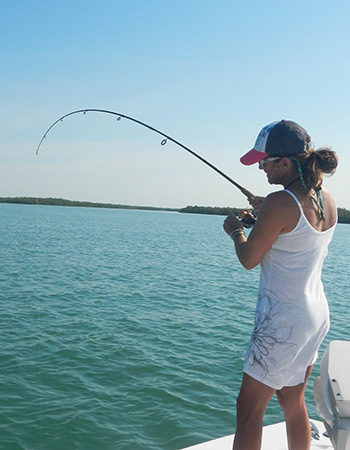 She is the owner of Paradise Charters as well as a couple top rated tour and charter companies in the area. She doesn't guide our fishing charters but you may see her out on the water while out fishing with us. Outside of managing the companies, a lot of her time is spent as a volunteer biologist in the local waters of Fort Myers Beach and serving on environmental committees. She has been in the charter business since 2004 and will provide you with fun, safe, worry free boating experiences and the best crew around. Ryan, is our full time backwater fishing guide. 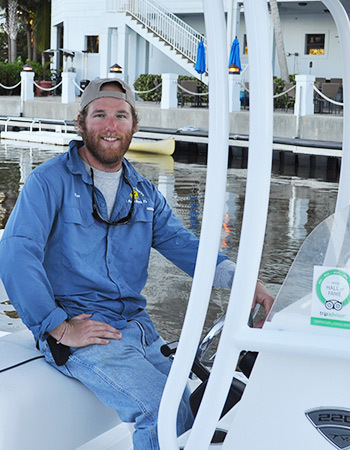 A native Floridian, he has been fishing and boating Florida waters his whole life so far. He knows how to work with the tides and loves fishing the backwaters along the mangrove shorelines, popping bait over grass beds, and casting near oyster bars. He also loves to hit up the near shore reefs and drift the passes. Ryan holds a bachelor degree in hospitality and he aims to deliver a high standard of customer service for all his passengers. He is also a certified Coastal Florida master naturalist and loves to share this beautiful paradise surrounding Fort Myers Beach with you. His friendliness and patience paired with his guide experience will provide you a great time on the water and memories to last a lifetime.